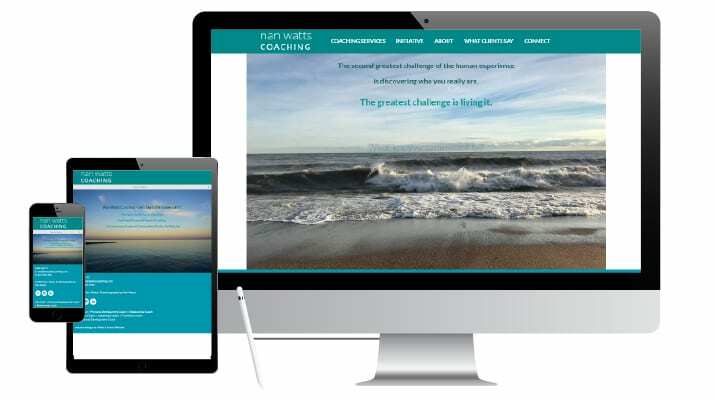 Here are some case studies of WordPress websites we’ve built for happy clients. 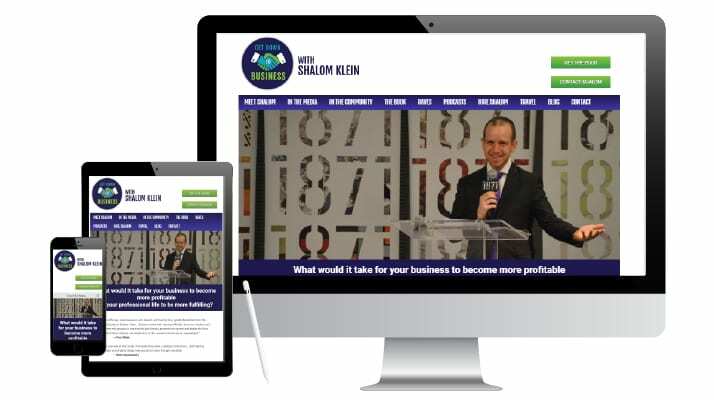 Shalom Klein's website was disorganized and unprofessional. 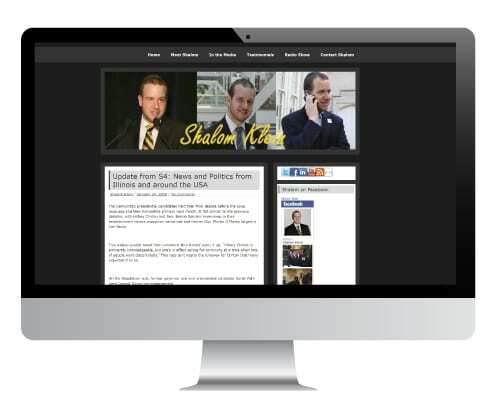 With all the different hats he wears, he needed a website that incorporated everything into one clear, compelling package. Next, SEO (search engine optimization) was used to identify key search terms and phrases and incorporated into copy to help with rankings. Images were chosen showing Shalom in his many roles. The new website is modern, compelling and user-friendly. Bold subheads break up content for easy scanning and also help with SEO. A streamlined menu makes it easy for site visitors to find his services, follow his radio podcasts and engage with him. The homepage includes quick links to important pages and a link to purchase his book. There are also excerpts from the most recent blog posts. Dyana had a fresh new logo (Iris-designed). Now she needed to replace a woefully dated website. She also wanted to start blogging. In PR, showing client media placements is important. So we made it easy to find with a News jump link in a sidebar on the homepage, as well as in the top menu bar. A newsletter signup bar is also in the sidebar to capture interested readers. The Case Studies page lets you quickly scroll or click on Show More to read details about specific projects. The vibrant, contemporary site reinforces Dyana's brand. Visitors don’t have to dig around to see how she can help them. 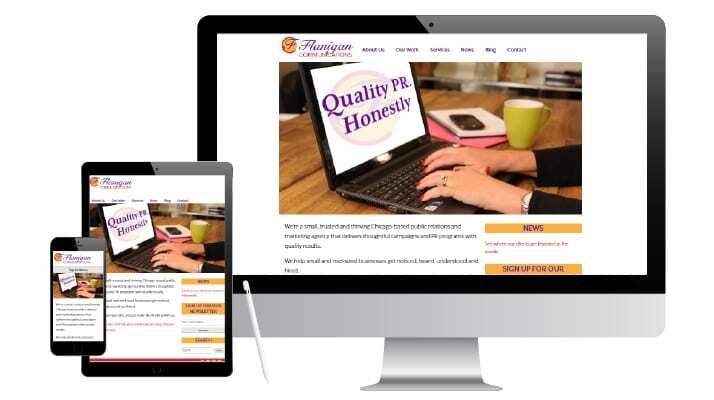 The Services page clearly details her areas of expertise and explains her PR process. Dyana loves being able to easily update her blog….aptly entitled Dyalogue. 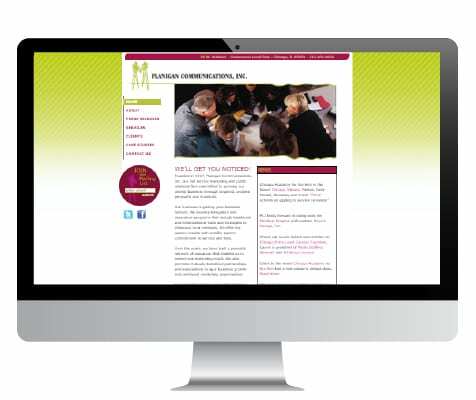 The client came to us with a website that was a nightmare for the staff to update. The new design was a collaboration with the staff at TAC. They’re artists so they had a vision of how they wanted to site to look. We built a WordPress site where the complex loading of e-commerce data could be handled easily via spreadsheets. 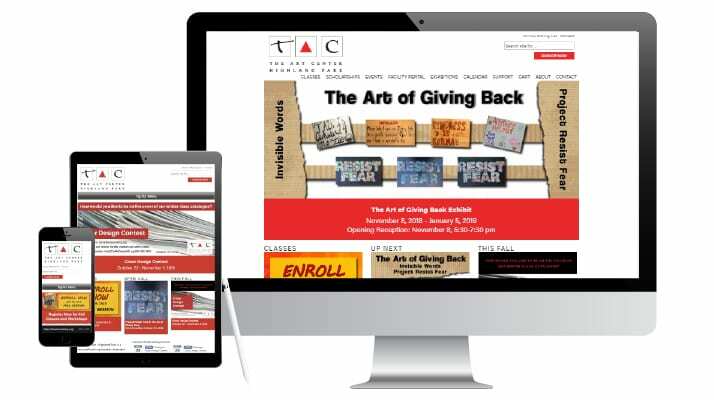 A slider on the home page serves to promote events, exhibits and class registration. Three areas below the slider provide quick links to timely information. 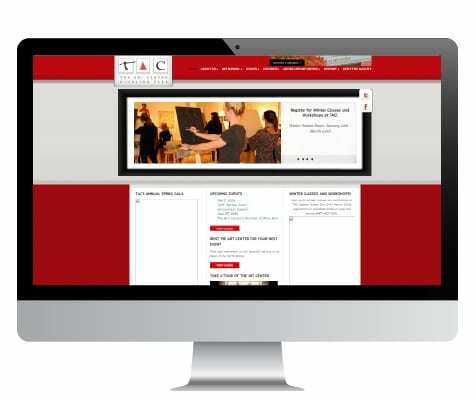 TAC’s new WordPress website not only meets their visual expectations but is also super easy for them to update. For site visitors, the class and schedule data can be easily searched using a number of criteria (UX), making it a snap to explore, find and sign up for classes. Jill Tanz's old website was drab and dated. She needed a new site that accurately positioned her services and credentials. It was important to highlight how neuroscience is incorporated into Jill’s mediation services in a clear, concise way. She also wanted a clean, simple design. 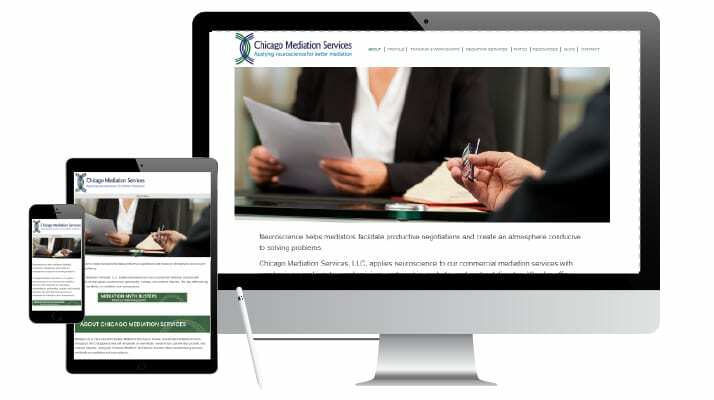 We rebranded Chicago Mediation Services with a new logo that abstractly represents mediation and a site color palette of blue and green which was chosen to reflect calming (blue) and growth (green). Content clearly positions Jill’s services and her expertise. The home page hero photo says “professional” and implies that Jill works with individuals rather than large teams…..which is the case. Graphic interest on interior pages is created using the logo in header banners. A clean, professional website which visitors can easily scan to quickly find what they’re looking for — whether it’s available workshops, services provided or Jill’s credentials. The WordPress site enables easy updates and allows Jill to effortlessly maintain a consistent blogging presence. Nan Watts’ coaching business was originally called Inspired Views. 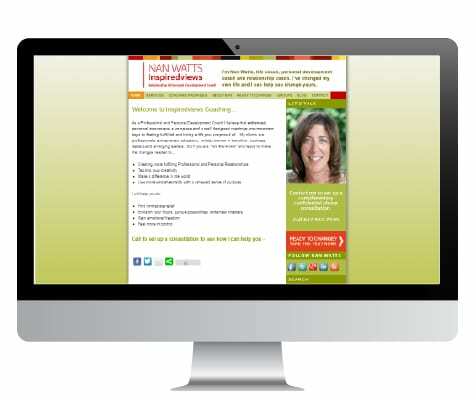 As her practice became more focused on leadership development, she rebranded as Nan Watts Coaching. She came to us for a website to promote her skills with a goal of engaging potential clients to work with her. Our challenge: how to make her stand out in the crowded field of coaching. Nan is an accomplished professional photographer so we were able to personalize her site with her own photos. The ones we selected together say peace and tranquility….which is what happens when you work with a coach who understands what you need. The color palette of blues and greens complements the one-with-nature images and sets a soothing mood. Animation was used to scroll important text over tone-setting photos on the home page. Nan wrote her own copy which we edited. The new site is fresh, modern and bright. Visitors can quickly find everything they need to know about her services. They can also get a good feel for Nan’s personality and work style from her “Fun Facts About Nan” page. 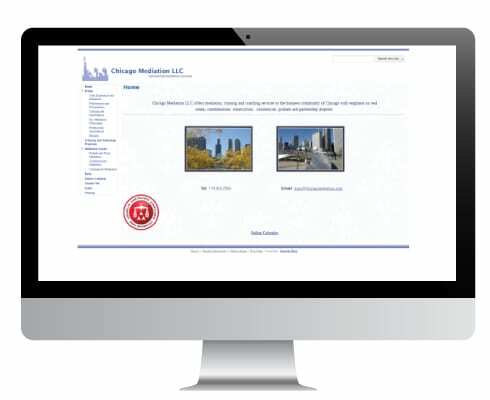 The original Sullivan Firm website was built in 2009 on a proprietary platform. Nine years later, the site was sorely dated and in need of a redesign. Complicating matters, the original developer was no longer reachable, making updates impossible. We built an easy-to-update, scrollable website on the WordPress platform. 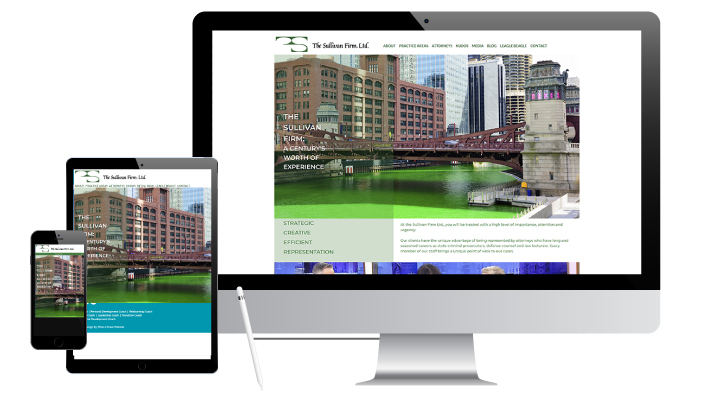 It features a fresh clean look with large Chicago-themed images, including a “green river” home page picture (Terry Sullivan’s request. He’s all Irish!). The client provided hand-drawn courtroom sketches that lend visual interest while alluding to Terry’s involvement in key trials. 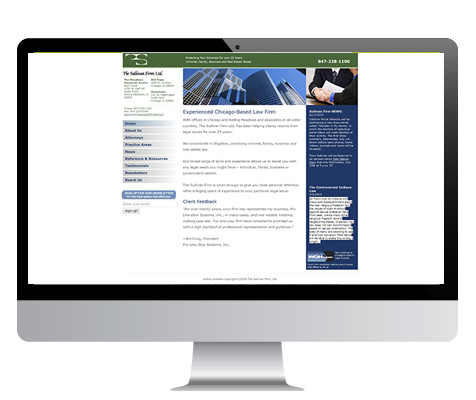 A bright modern new website highlights the firm’s key practice areas while a new blog and videos spotlight Terry’s involvement in the legal community. (He’s been the WGN-TV legal analyst for the past 20 years.) Fast-loading, responsive, SSL-secure and user-friendly, the site makes it easy for visitors to quickly learn about this law practice.